Antelope is a term used for even-toed ungulate species indigenous to Africa. In scientific terms, it is animals that belong to the family Bovidae encompassing those species that are neither cattle, sheep, goats, giraffe or buffalo. 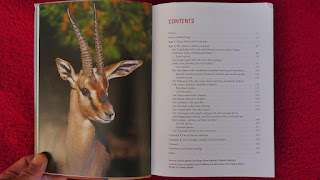 In practical terms it includes animals such as kudu, nyala, eland, sable, roan, gemsbok, wildebeest, hartebeest, bontebok, blesbok, tsessebe, waterbuck, oribi, klipspringer, steenbok, and many more. There are a total of 85 antelope species in Africa, all covered in this book with several subspecies also included. 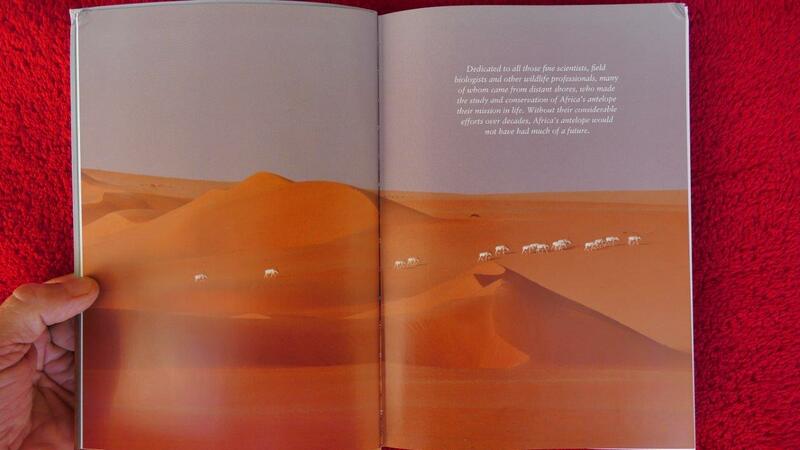 The book has 358 pages with a flexible cover in a strong, durable bind. 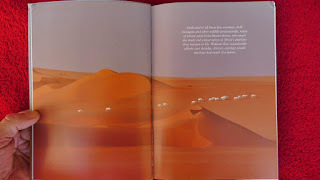 It contains many beautiful colour photographs from a variety of photographers of all the animals and their habitat - on average about 1 photo per page. 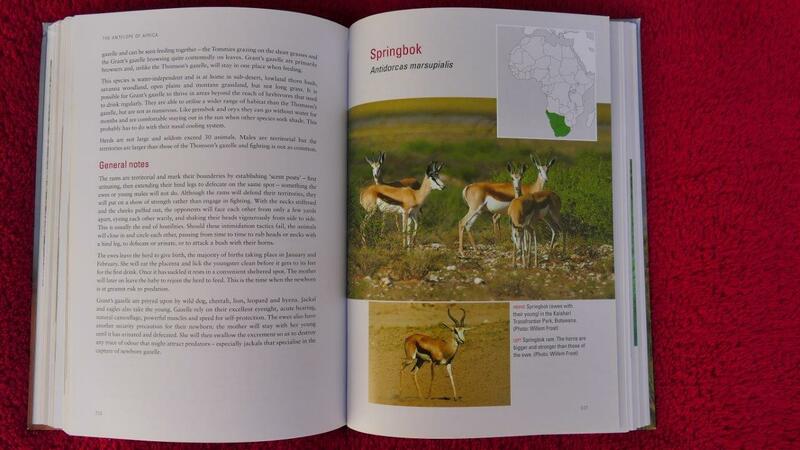 Part 1 of the book deals with Africa, the continent with incredible habitat diversity. It describes why different parts attract different species – fascinating and a real eye opener. Various threats to Africa’s antelope and other wildlife are listed. One of the obvious threats is the growing human population. Over a period of 50 years the growth was a staggering 250% from 230 million to 811 million by the year 2000. The one-billion mark was reached in 2010. At this rate, Africa will have a population of two-billion people by the year 2050! 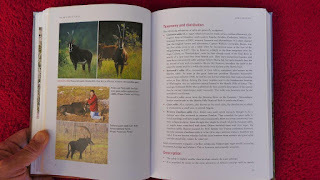 But there are also positive trends and the book describes developments in conservation, hunting, farming, and tourism. 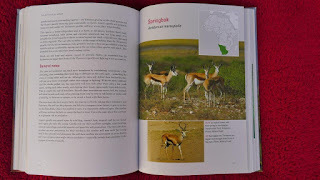 Part 2 of the book describes all the species of African antelope in great detail. 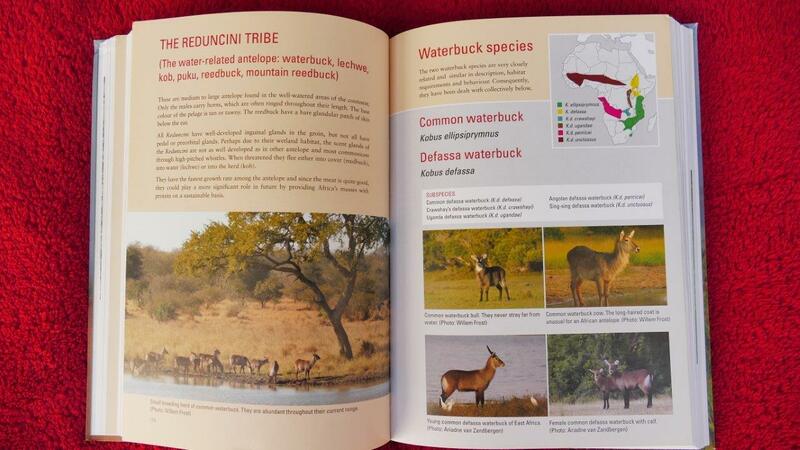 This includes distribution maps indicating all species and different subspecies, taxonomy, identification description, current status, preferred habitat and feeding. 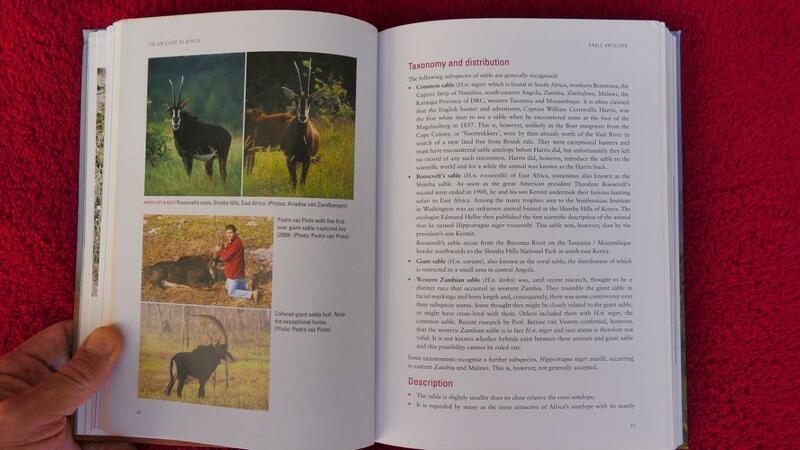 Interesting facts about each specie are discussed under general notes. For example, the only antelope known to climb trees is the klipspringer! One of the appendixes in the back of the book is a list of all the antelope with average size, weight and horn lengths. 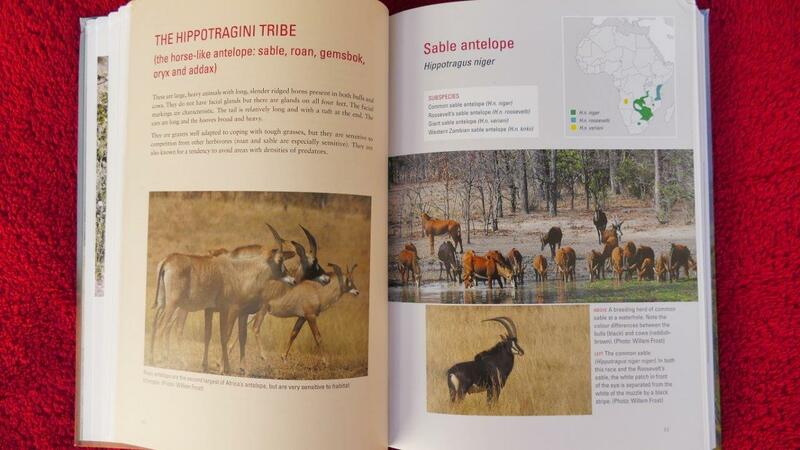 This book is not only scientifically correct and complete, but is an easy to read guide with all the facts to anyone interested in the wildlife of Africa. I am grateful that I could add this book to my collection. 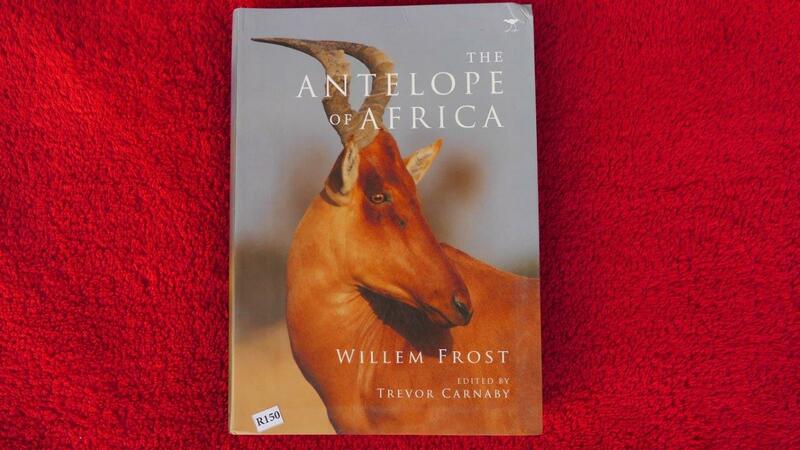 Willem Frost, the author, is a conservationist, game farmer, writer and photographer. 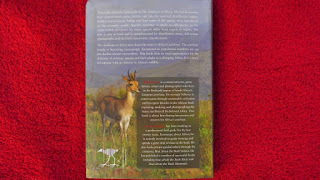 He is passionate about the wildlife of Africa and believe in conservation through sustainable utilisation.